In the latest in a series of provocative stunts, Serbian nationalist politician Vojislav Seselj pledged to seek a review of Milorad Ulemek’s conviction for the 2003 murder of Prime Minister Zoran Djindjic. 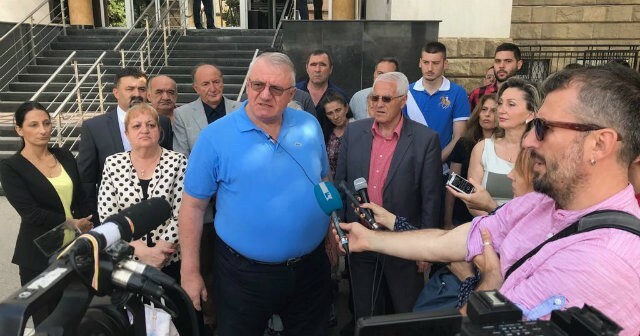 Serbian Radical Party leader, MP and convicted war criminal Vojislav Seselj visited Milorad Ulemek in prison on Thursday and pledged to help him seek a review of his 40-year sentence for masterminding the 2003 killing of Prime Minister Zoran Djindjic. “[Ulemek] is undeservingly serving his prison sentence under the most rigorous conditions,” Seselj told the pro-government TV Pink. After the visit, Seselj showed the news website B92 a document that he claimed was from Ulemek, giving him power of attorney in order to review Ulemek’s guilty verdicts. Ulemek, a former high-ranking officer with the Serbian Interior Ministry’s Special Anti-Terrorist Unit, was also convicted of the murder of 1980s Serbian President Ivan Stambolic and the attempted murder of former opposition leader Vuk Draskovic. Seselj said he would also assist a motion for the retrial of Zvezdan Jovanovic, who was found guilty of firing the shots that killed Prime Minister Djindjic. He called both Jovanovic and Ulemek “heroes”. But Milan Antonijevic, director of Lawyers’ Committee for Human Rights, said that a review of the convictions was highly unlikely. “You always have the option of reopening the case if new facts appear, but in this case it is really science fiction,” Antonijevic told BIRN. Antonijevic said that Seselj, who was convicted of war crimes by the Mechanism for International Criminal Tribunals in April, appears to be merely seeking attention. Seselj and his Radical Party have staged or attempted to cause several incidents since experts and critics started pointing out that his conviction legally disqualifies him from serving as MP in the Serbian parliament. On Wednesday in Belgrade, Seselj and supporters protested against the ‘Miredita! 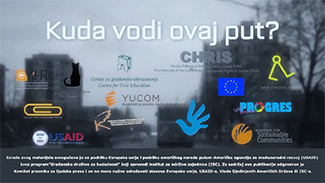 Dobar dan’festival, which is dedicated to bringing Serbs and Kosovo Albanians together. In a recent move that critics assessed as a provocation, the Radical Party leader bought a house in the village of Hrtkovci, where he made nationalist speeches in 1992 that got him convicted of war crimes. Seselj also planned a party rally in Hrtkovci on May 6, the anniversary of his anti-Croat speech, but it was banned and prevented by the Serbian police. He even suggested the possibility of challenging the UN court’s sentence with an appeal, although he has no grounds, according to Milan Antonijevic. 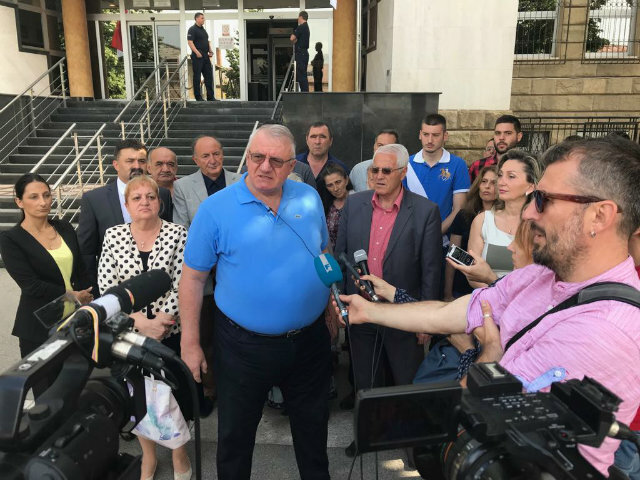 Seselj has also started attending the trial for the killings of Bosniaks in a warehouse in Kravica after the fall of Srebrenica in July 1995, using the media attention given to his visits to deny the Srebrenica genocide and antagonise the visiting victims’ families. In April, a Croatian state delegation visiting the Serbian parliament abruptly ended its visit to Belgrade after Seselj insulted them and trampled the Croatian flag. Despite the incidents and the war crimes verdict, the Serbian authorities have so far shown no interest in implementing the law and removing Seselj from parliament.